The principal aim of this study was to find out if the temperature at which dormancy was broken would affect the subsequent performance of rice on the field in terms of plant stand (emergence), plant height and number of leaves produced. The varieties TOG6565 (VI), CG17 (V2), WAB 450-24-2-5-P4-HB (V3) and CG14 (V4) were exposed to temperatures of 50°C for 4 days and 80°C for 1, 2, 3 and 4 days, and temperature effects on their field performance studied in a randomized complete block design of three replicates (i.e. a two factor experiment). 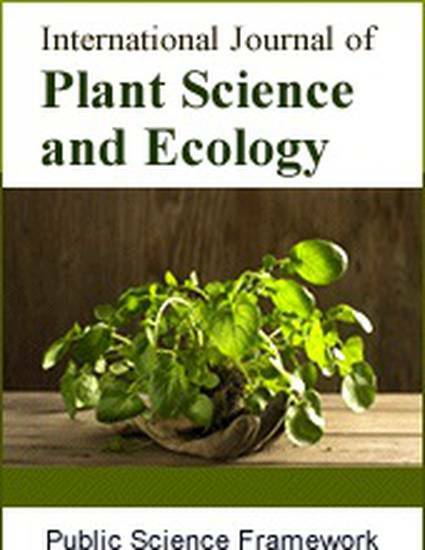 The result indicated that differences in plant height and number of leaves produced three weeks after seeding as well as plant stand were insignificant with respect to temperature. Thus the performance of the rice varieties with respect to the stated parameters when exposed to a temperature of 50°C for 4 days was not different from exposure to a temperature of 80°C for 4 days. However, significant differences existed at 5% level of probability among the varieties with respect to plant height and the number of leaves produced but not with respect to plant stand. This observation could be attributed to the unique characteristics of individual varieties, e.g., O. glaberrima are known to be more vigorous than their inter-specific progenies. Work by a colleague showed that dormancy in O. glaberrima varieties is best broken at 60°C for 2 days. Based on the results reported here, it is recommended that this temperature (60°C for 2 days) can be safely used to break dormancy as exposure to higher temperatures (up to 80°C for 4 days) do not result in reduced plant performance. The ability of rice seed to tolerate high temperatures and still remain viable has also been proven.